Describe your blog's content in your blog's title for example if you have a blog about blogger tips then give it a title "blogger tips, tricks, gadgets, widgets and tutorials" it will help search engines to show your blog in results if someone search for any of keyword which you use in title. When you write a post take care of having tags in that post. Because search engine will target your tags to show result. Write tags is (h2) font-size. For example you are writing a post about a publishing network or what else now you have to write keywords about that publishing network in tags. So that the search engine find your post and show in results. Try to describe your posts summery in your post title. Its helpful for seo as someone search on search engine for your written keywords in post title the search engine will show your blog in results. It is a good way to increase your blog views. Your post must be of at least 250-300 words. Above 300 words will be more good. Your blog should have a unique content so that visitors have a reason to visit you blog. It is very important for seo to have unique content so to gain unique visitors you have to write unique posts. Another thing is your post should contain more text than images. And it must be helpful and meaningful. Your blog should have a category too that is your blog should focus only at one thing for example, if you have created a software blog than it should contain only software, if you have created a gaming blog then it must contains games similarly if your blog is about fashion, clothes, online tools, literature and so on then you must have relative content to category of your blog. As a wise man said," Simpler is better". Your blog should have a friendly user interface It means no pop-ups, no on-click ads, pop-up like boxes because these things frustrates most of the users.Keep a clear and easy navigation so that your visitors could reach easily to what they are looking for. Write a meta description of your blog. Write about your blog in below code between comas. And paste it below <head> in template. Also write the keywords of your blog's content in the second code and past it below <head> in your blog template. You might also like reading: Meta codes optimization in blogger. 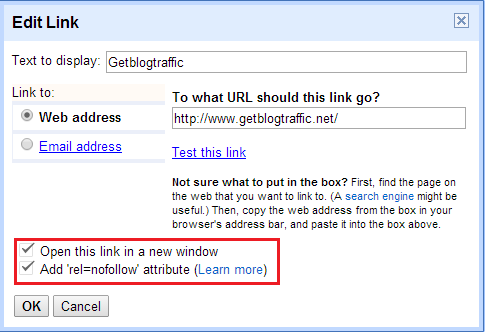 Increase you blog traffic by submitting link to search engines. Three big search engines "Google,Bing,Yahoo" will accept your link for free. Submit your blog link to other search engines, you can find more search engines on google like Yandex. If you want to submit your site to every Google domain at once then submit it here. Create fan pages of your blog on social networks such as Facebook, Twitter, linkedin, tumblr, stumbleupon etc. Share your posts on fan pages to grow more audience and get high page rank back links. While writing a post you must have a brief description of the post, you can find it on right side of blog post which will help to increase your seo as this description show up when someone share your post. Create an rss feed for your blog at http://www.feedburner.com add Email subscribtion widget to your blog so if people subscribe to your feed they will have updates about your new post in their inbox. It is also a good way for traffic. Joining the blogging communities also helps you to increase your blog traffic. The main source of problem is traffic. It becomes a headache to drive more traffic to blog. Joining blog communities helps you to increase traffic in this way that when you join a blog community and make or add your blog with a brief description and tags other bloggers visit your blog as it appears in recent news or latest article, if they like your blog they will visit again which increase your traffic. Some of the top blog communities are Getblogtraffic, blogengage, bizsugar, blokube etc you can find many other blog communities on Google. But I am using Getblogtraffic as it is easy to use and I prefer to use Getblogtraffic for beginners. Ask your friends on social networks to search the keywords for your blog in Google, Yahoo, Bing or any other search engine. More searches will make Google or any other search engine to index you blog in search results and also in auto-complete. Because your blog's keywords will be trending. Adding a separator between blog title and post title helps search engines to search your blog or website for the searched keyword. That's the reason to define your post summery in post title so the search engine may find your blog. It is also a good thing for seo. A separator may be plus sign, minus sign, slash, brackets or |, now a days most of the bloggers and webmasters are using this(|) sign. Facebook uses |,/,-. You can use any of them to separate your blog title from your blog posts. It is not important that you must use this sign(|). Use any of them which you like. For adding the separator to your blogger click here. Click here to see detailed post about optimizing links for better seo. Google images is a platform or site where people search millions of images every minute. Tags in images help Google to show images to users. When someone finds your image he clicks to open it he will be redirected to your blog so its also a good way to get more traffic. How to add tag in images? : when you upload an image click it you will see many options such as small,large,medium,x-large,add caption and properties. Click properties now write the tags in both tabs and click save. If you don't know how to tag images in blog post click here. Make your blog load fast because slow loading blogs and websites frustrates users and they close your blog which results in a decrease in your blog traffic. Get some tips to increase your blog loading speed here. While writing a post relate it to other posts similar to it. For example if you have written a post about seo tips and you have given some tips in it such as adding a related post widget will help you to increase you traffic then past the link of the related post widget or anything else which you want to relate. This will increase your page views how? the answer is a reader must read a related post to solve his problem. If you are still having problem in how to relate posts then simply add a related posts widget to your blog. Join blogger forums and create posts there also highlight your blog name and link so the search engine show the joined blogger forums in results, it will increase your seo. Other feature of joining the blogger forums is that other bloggers who are on the same blog will visit your blog. You can find popular blogger forums on Google easily. Rename all images with the name of your blog before uploading them. Use keywords of your content while renaming images. Use Google trends to get keywords(which are mostly searched) for your blog. It will show your blog in search results when these words will be searched again. For example in the below image I've searched for "earn money" and it has shown results, regions from where it is most searched, related keywords and a graph which shows in which years these keywords are trending. Copy the word which you searched as well as related searches and add them to your blog as shown in step 6 for better seo. Most of the blogs suggest to create quality backlinks to your blog for seo. Because they help your blog to spread throughout the Internet. Backlinks are the links which are created on other sites, so when a blog or site is searched your blog will also appear in search results and backlinks also improves your alexa ranking. Backlinks are very important for seo but its not easy to get quality back links, it needs a little effort. There are many websites on internet which offers to create free backlinks but they aren't quality backlinks and these links decreases your blogs seo instead of a positive response. Therefor avoid creating backlinks through local website. You can create quality backlinks by read this post. Ask your visitors and subscribers to recommend your posts on Google(g+1). Google recommendation makes your blog posts popular on Google and lets visitors to find your posts easily. For example if your post has more than 100 recommendations then it is guaranteed that your post would appear in search results if related keywords were used. It is very hard to get g+1 on post but you can exchange g+1 at Link collider. Link Collider is also known as seo booster, you can find many seo tools here such as link submitter, link bookmarking, copy material checker etc, now g+1 exchanging is also available, you can use it to get your post recommended and make your seo better. But if you have more subscribers then you don't need it. This is one of the most important thing for seo, because it helps search engines to search and index your post title. To make your post title optimized for seo you need a little customization in template of your blog. When you customize your blog post titles they become bigger as compared to before customization. Click here to optimize your blog post titles for seo. Updating blog daily doesn't mean to add or remove any widget or updating the same post again and again or customizing your blog template or updating look of your blog, it means to create new post in blog. As a beginner you must create at least one post daily, more than one will be more good because search engines specially Google love those blogs who are updated daily and index post of these blogs frequently, so if you want to make your blog popular you have to create 1-2 posts daily. You must have heard about Google webmaster tools, these are the tools which help you to improve your blog for seo. These tools show you errors in your blog, ways to improve these errors and also help you to index your posts in Google search results. It also provides you an advanced search box which works much better than the ordinary search box provided in blogger. These tools provide you detailed reports of your blog pages also. You can find more features of Google webmaster tools here. Read Google Webmaster Tools tutorials for blogger. Similar to Google webmaster tools, Bing has also provided tools for webmaster which are similar to Google webmaster tools. This tools are easy to use and helps you to index you posts in bing search results. You can find these tools here. You need to setup a Microsoft account first to use these tools. These tools will show errors in your blog, help you to make your blog seo friendly and so on. You can also submit your blog's sitemap to bing so that Bing can index your posts links easily. Now a adays bloggers are creating many pages in their blog such as advertise with us, contact us, about page etc but they don't know one thing that in most of cases when you create a page in blog its url contains underscore(_) which is not good for seo. Search engines like Google doesn't like it. If underscores lies in posts links then its not bad for seo but in case of pages links underscores causes problem so avoid having underscores in page urls. Mostly underscores are found in contact page's url such as http://blablabla.blogspot.com/contact_64.html. How to get an underscore free url? well, to get a url having no underscores isn't that easy in blogger as it generates pages urls by itself and you can't change it but I have found a solution for that. The solution is very simple to get an underscore free url while creating a page first give it a title than click on publish open it and see there will be no underscores and after that edit it again and make your page. Sometimes this trick don't work in that case delete and re-create pages with different names several times, may be it work. Thanks for visiting 101Helper. I hope this post is helping you to make your blog seo friendly. If this post is helpful to you do me a favor, recommend this post on Google or share on Facebook and twitter. Follow and subscribe for latest updates. Meta code optimization is also important for seo, meta codes are of different types and helps robots and crawlers to crawl your blog posts. It is helpful to get more traffic in many ways such as meta code for description helps in adding description of a blog or site and helps search engines to encounter your content''s keywords in your meta description and show your blog in search results. Read a brief post about meta code optimization here. Above in this post I have told to add rel="nofollow" to every external link so that robots and crawlers don't follow that link but what about internal links? I have also told to relate old posts with new posts by internal linking which is very important for seo but some bloggers make a mistake while doing this, they add rel="nofollow to internal links also which tells robots and crawlers not to follow these links which results in a low seo. So it is very important to take care while adding rel="nofollow" to links, make sure to add rel="nofollow" to external links only. For a better seo you have to tell robots to follow your internal links and for that you have to use rel="dofollow" instead of rel="nofollow" as rel="dofollow" tells robots to follow the links and ultimately it increases chances of appearance of more links in search results. 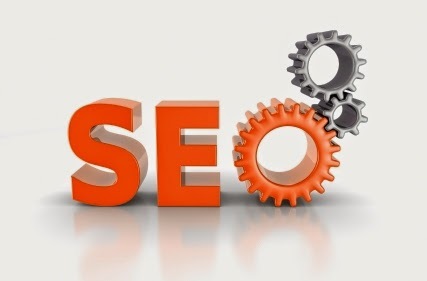 Blog title plays a vital role in seo as it appears with with every post title in search results. Therefore it should be optimized to have a seo friendly blog title. Above in this post I have discussed about adding a separator between blog and post title as it help in seo but it is good for those blogs who have a short title. You might have noticed in search results that full titles aren't shown because every search engine has a limit, so if you have a long blog title and you are adding a separator between post title and blog title, it won't work because in search results only post titles are displayed while blog title is kept hidden in dots(...). So You have to make some changes in your blog title to make it shorter for better results. If you have a long blog title like me then don't add separator leave it to post titles only or make some changes like me, what's the change which I have made in my blog title? hover your browser tab to know or see below image. You can see in below image that there is only blog title before post title, where is the rest of title? well it is the change which I have made, so now my blog title is is fully optimized. You can also do it by reading my recent post about Blog title optimization for seo in blogger. Disable both mouse clicks, only right/left click or if you have a blog which offers visitors to copy any code(tutorial blog) you can disable click on specific text. You can do so by reading Protecting content from copy in blogger. Second thing which you can do to protect your content is to leave a note on your blog "Do not copy | All rights reserved". If someone copy your content instead of disabling clicks and leaving a note on your blog, you can file a legal complaint against him to Google. To file a legal complaint against a content thief fill out a form at https://support.google.com/legal/troubleshooter/1114905?rd=1#ts=1115645. If you have any question about filling form ask me in comments. After filing a complaint leave it to Google. First way to improve your alex rank is to keep visitors longer, you can do it by adding related posts gadget, Recent posts widget, random posts widget and by keeping interesting content. 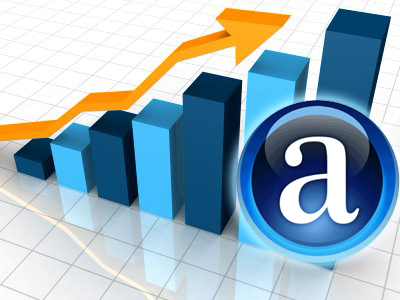 Second way to improve your alexa rank is creating quality backlinks for your blog. Third and last way to improve your blog's alexa rank is to socialize your blog(get your blog shared, pinned, tweeted etc). Url structure is also important in seo because an optimized url have higher search results. For an optimize url you should enter keywords of post in the url. It will help you to get more visitors. You might also like: How to optimize post links in blogger for higher search results. The first step to promote a blog or site is to submit to to every search engine. The most used and famous search engines are Google and Bing but there are alot of other search engines like Yandex. Yandex is a Russian search engine and its very popular in Russia then any other search engines. So submit your site or blog to Yadex also to get a huge traffic from Russia. Long urls are not good for seo. So avoid long urls but don't make links too short. You can use permalink option in your post to create a custom url. If you are a user of Bing webmaster tools then you must know about duplicate description error this is because many people add meta description and doesn't enable description for posts and category pages which results in this error as well as you don't get keyword based organic traffic. So add separate description to each page of your blog including category pages. I have recently created a post about "how to add separate description to your blog page" you can easily add a separate description to every page of your blog by reading it. Dynamic description means changing the description according to demand. It works very effectively because description is changed according to the keywords searched and hence in Alexa you will see an increase in the keyword search because people will reach using keywords to reach your blog. Dynamic description doesn't mean to change your post or blog description even if you are getting traffic from the already used description but you should change your description only if you need to change it. Say that you don't get a single view to your post in a week then you need to change its description and use the mostly used long tail keywords which can get people reached to that post. For example if you have a post about blogger templates and you have following description. "Blogger templates , blogspot templates, awesome templates for blogger etc"
"blogger templates 2016, stylish fast loading seo optimized templates for blogspot, 3,4 column templates for blogger etc"
Dynamic description is very helpful in making your blog more friendly to search engines. It will boost your traffic because people will definitely use the keywords you are using in your description. Maybe you get no results but using dynamic description then try again and again until you get positive results. Search Tags: How to increase your blog traffic, Seo, tips, 101 helper, seo tips 100% working, increase blog traffic, methods to increase traffic, blog traffic increase tricks, Seo tips 2015, Seo new tips 100% working, Most effective seo tips,seo tips for website,new seo tips. This post is really fantastic, I haven't read such a helpful article before. Thanks for sharing! Is there any option to get free multi thousand visitor on my blog on daily basis?? My site related to Wordpredd Responsive Themes Free & Scripts and much more. Yeah Sheryl joi once you have applied seo in your blog then just add some gadgets like related posts, popular posts and random posts widget, these gadgets will increase your traffic to multi-thousands but it will take time. This is an important article for me. Thanks for sharing..
You are welcome and nice blog! Thanks for your feedback Elina, I am glad that you liked my blog. I agree optimize links for SEO is more important for blog and site traffic improvement. your blog is in page 1 of google with keyword "increase blogspot traffic".. this show that your tips is a powerfull tips eventhough it just a blogspot..
Great post, i found very useful information shared, thanks for sharing and it would definitely help increasing blogger traffic. Hi. With regard to point 31; Is it really important to put h2 tags in italics? Is it wrong if I do not use italics? Thanks in advance for your answer. No it is not necessary to use italic but H2 is important. Its nice to hear that. Thanks you for good tips. I want to share to everyone a tool can get list links search by blogspot label. Example I want to get all link of posts have label is 'Email Templates' in 'top-useful.blogspot.com' blog. I can use this tool get all link of posts by label to do that. thanks you. why my posts are indexed as (https:// ) and other posts in my blog are indexed without (https://).... i don`t use https on blogger so why this happens to me? It happens because the sitemap you submitted to Google is https and you may have enabled https for your blog that's why its happening but https is good as Google ranks pages with https over http pages. Yes my friend so what should i do ?? Resubmit my sitemap as http ?? And i dont use https beacause i am using revenuehits ad codes. i did that and i will be in touch with you if something new happens. Sure, I am here to help.